While he was in prison the Apostle Paul wrote to his friends at Philippi. He was in chains simply because he was a Christian. Now his friends at Philippi were facing chains. Paul prayed for them, that their love would overflow more and more. That they would grow spiritually, discerning and doing what is right, leading blameless lives to the glory of God. I wonder. Does understanding each other break the cycle of prejudice, hate, and violence? Was it a “crisis of understanding” that put Paul in chains? Or was Paul in chains because his enemies wanted to suppress Christianity? You could understand the people you live and work with and still hate them. But when you love with the love of Jesus, you are patient and kind, not arrogant or rude, not irritable or resentful, not selfish, not glad about injustice done to anyone. Paul prayed that his friends would love those who want to suppress Christianity, be irreproachable in their treatment of them, and continue to share Jesus. Christians face persecution in over 60 countries in the world. It is a crisis of love that tears at the fabric of society! Our pastor said that because the love of Jesus can break the cycle of prejudice, hate, and violence, the world needs more of the Gospel, not less. I want Paul’s prayer to be my prayer. So I put the first chapter of Philippians to song. From the album “Main Street – Songs for Today” this video is scrolling playback of the song. 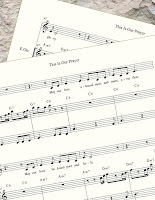 Print (PDF) and digital (MusicXML™) sheet music for This Is Our Prayer is available at the MusicStories shop on Etsy.com. 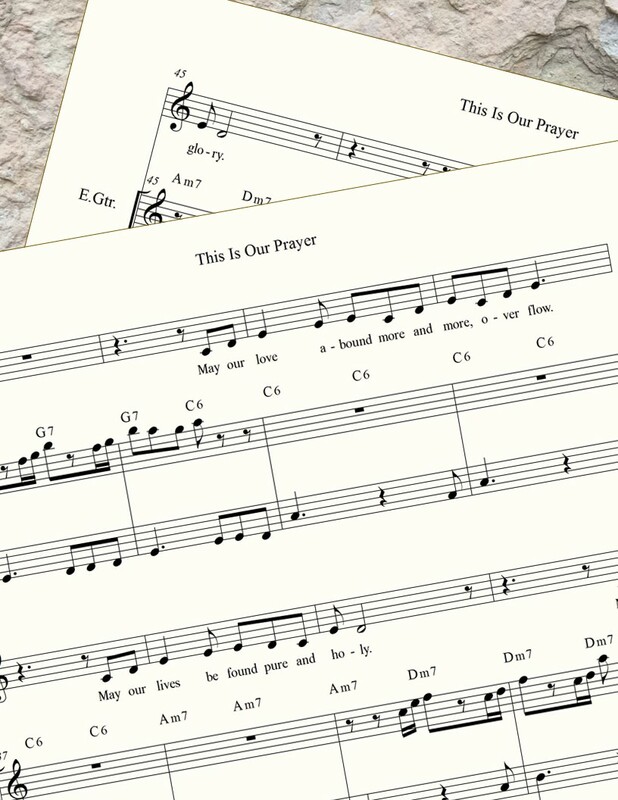 Click here for "This Is Our Prayer" at MusicStories. Click here to listen to the coexist sermon series at Ginger Creek Community Church. Click here to learn why Christians worldwide face persecution.